When tooth enamel becomes worn down or damaged, the sensitive inner layers of the tooth become vulnerable to complications such as root canal infection or tooth loss. One of the most common causes of dental damage is tooth erosion. If the oral environment becomes overly acidic, the acids in the mouth will begin to destroy healthy tooth enamel, which compromises tooth strength and puts the overall health of the mouth at risk. Dental treatments address oral health complications, such as tooth erosion, to improve oral health and restore tooth strength. 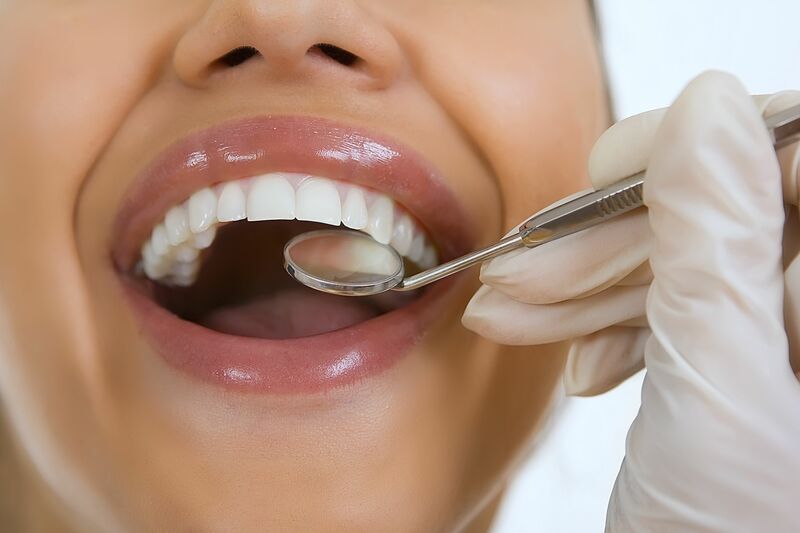 At PQ Family Dentistry, our experienced team of dentists offer a number of treatments for tooth erosion that provide our Rancho Peñasquitos, CA dental patients with stronger, healthier teeth, as well as protection from tooth loss. Tooth-colored fillings are typically thought of as the dental treatment of choice for cavities. Although tooth erosion is caused by different factors than dental cavities, the treatment for the two issues is similar. The goal of treatment is to repair damaged tooth enamel and restore a protective layer around the inner layers of the tooth. Tooth-colored fillings are a great way to repair minor to moderate cases of tooth erosion. During treatment, our dentists will apply a tooth-colored dental bonding material directly to the damaged tooth. The material will be shaped and molded to the tooth so that it rebuilds tooth structure while maintaining the natural appearance of the tooth. As the material is hardened to the tooth with a special dental light, it bonds to the tooth and enhances its strength. If tooth erosion is not treated in a timely manner, more tooth enamel will become damaged as the problem progresses. Larger areas of tooth erosion can usually be treated with the application of an inlay or onlay. Inlays and onlays are applied using a method known as indirect bonding. Rather than applying a bonding material directly to the tooth, as is the case for tooth-colored fillings, an inlay or onlay is fabricated in a dental laboratory, and then bonded to the tooth afterwards. An inlay can repair damage that extends to the biting surface of the tooth. An onlay is even larger and can repair damage that has destroyed the cusps of the tooth, which are the little bumps that stick out from the tooth’s biting surface. Both inlays and onlays strengthen a tooth damaged by tooth erosion while providing a barrier that protects the inner layers of the tooth. Dental crowns are an appropriate treatment for advanced cases of tooth erosion. If a substantial amount of tooth enamel has been damaged, a dental crown can restore the tooth and prevent the need for a dental extraction. Dental crowns are applied using an indirect bonding method, just as inlays and onlays. However, dental crowns are much larger than inlays or onlays. Crowns fit over the tooth and completely surround it to provide added strength and protection. At our dental practice, we use CEREC® technology that allows us to provide most of our dental patients with same-day crowns. This allows us to improve the health and strength of the tooth in just a single dental appointment, rather than waiting weeks for the permanent dental crown to be complete. A dental crown is an excellent way to restore and save the patient’s natural tooth. If you would like to learn more about treatment for tooth erosion, or are wondering which of these treatment methods may be right for you, schedule an appointment with one of the experienced dentists at PQ Family Dentistry at your earliest convenience.